In my opinion, it’s still the best description of Dill that I could possibly consider. To say that Kevin Eastman and Peter Laird’s work on the Ninja Turtles was an influence in Dill’s creation would be a great understatement. Without going into great detail, I’d been a Turtles fan since the cartoon, but have also become a great appreciator of the original Mirage comics. I love that something so completely silly can have some dark undertones. Man, those original comics were dark. Still, I can’t deny their influence on my creative process. Should Dill ever be made into something live action, my #1 ideal is to have him done like the Jim Henson company did in the first three live action Turtles movies. The reason I’m bringing up all of this right now? 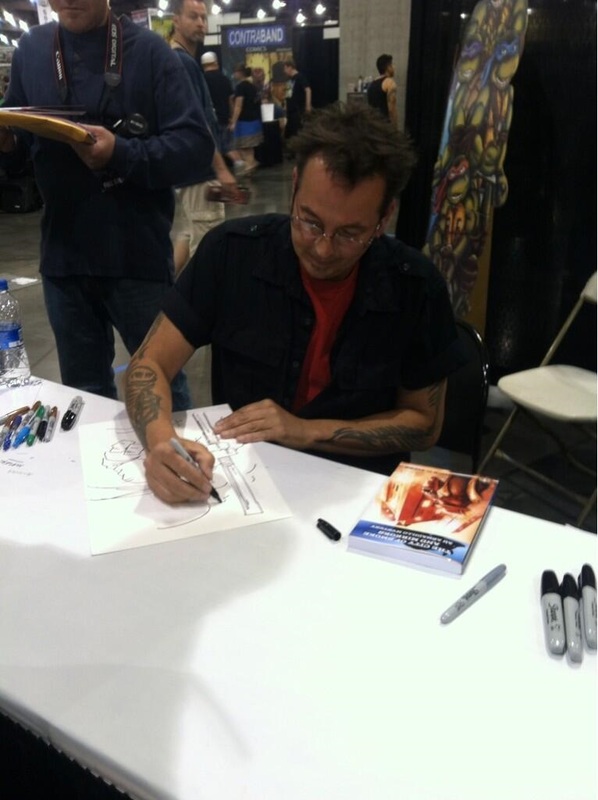 Because my good internet friend Alisa Breiling attended the Phoenix ComicCon this past weekend and met Kevin Eastman. I’d talked with Alisa about this beforehand and sent her two copies of the book: one for her, and one for Mr. Eastman. And, well…check it out. 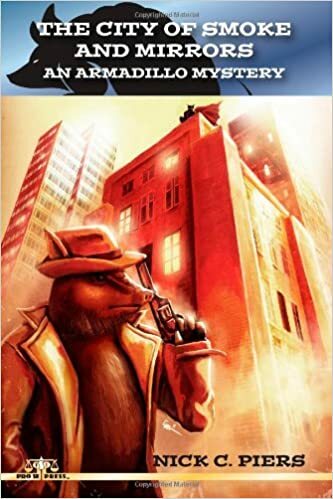 Kevin Eastman now has a copy of The City of Smoke & Mirrors. Either way, he now has a copy of my book. Excuse me, I’ll just be over here nerding out. This entry was posted in Comic Books, Dilbert Pinkerton. Bookmark the permalink. You can retire now, I think.